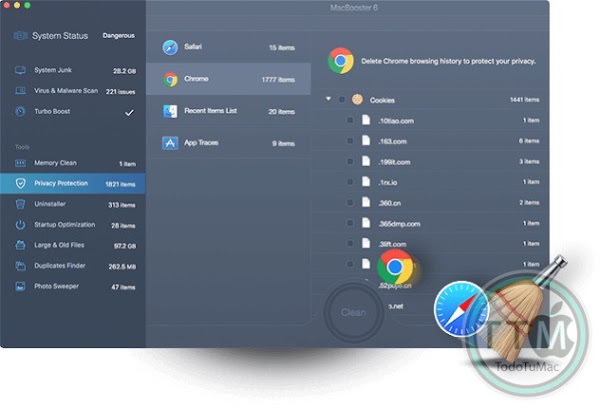 Your one-stop Mac maintenance tool to clean up junks and remove Mac malware and virus to protect your Mac, Besides, MacBooster can optimize Mac hard disk, fix disk permission issues and clean Mac memory which will help boost your Mac to the peak performance. • Virus & Malware Scan: Quickly and deeply analyze the security status of your Mac. Safely remove the threats to make your Mac stay safe. • System Junk: Scan every corner of your system, find out junk files to keep your hard disk from being wasted. • Memory Clean: Clean to regain more available RAM and make application start faster. • Defragment: new feature to optimize and fix your disks with 1-click. • Crafted New Mini: added realtime monitor for network speed and notification for scan and fix result. • System Status - More concise UI and more consistent operation. • System Junk - Supported removing MacOS localization files.Enhanced detecting and removing iTunes Backups, Language Files, and Old Application Update. 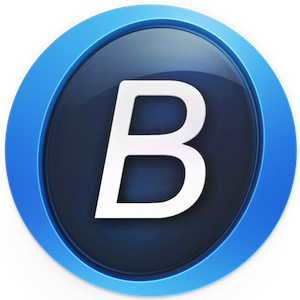 • Turbo Boost - Supported cleaning the non-compliant third-party app cache files for a faster Mac. • Memory Clean - More intuitive memory usage display.Supported closing high memory usage apps manually. • Uninstaller - Accelerated scan speed and enhanced uninstallation for stubborn apps. • Startup Optimization - Newly supported monitoring startup items in real-time to prevent silent installation and 3rd party apps' startup modification for a faster and safer Mac.Added intelligent operation recommendation based on system condition and relevant data analysis. • MacBooster Mini - Added support to monitor firewall in real-time to protect it from being modified by malicious apps. • More powerful cleaning - Optimized the algorithm for a more thorough cleanup.